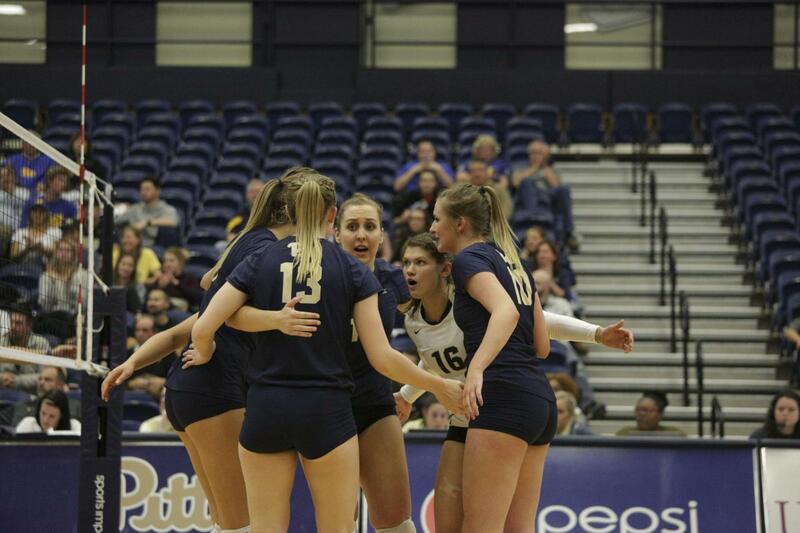 After claiming the ACC Conference title this past weekend on a nine-game winning streak, the Pitt women’s volleyball team has secured a slot in the NCAA championship tournament. This is the second year in a row they have qualified for the NCAA tournament, the last time before that being 2004. The Panthers look to extend their season as the NCAA tournament begins Friday. Pitt will take on Virginia Commonwealth University Friday at 5 p.m in State College, Pennsylvania. If the Panthers advance, they will likely take on top-seeded Penn State, if the Nittany Lions beat the Howard Bisons. In the 2016 tournament, however, the Panthers were knocked out in the second round after falling to Penn State. This is the first time in the program’s history that the team has snagged the first-place ACC spot since joining the conference in 2013, and only the second ACC title for any Pitt squad, with the wrestling team topping the conference in 2014. “It’s something these girls are going to remember forever,” Fisher said of their ACC championship. Overall this season Pitt has steadily held a winning record, currently sitting at 25-6 overall and 18-2 in the ACC — its only losses coming at the hands of NC State and their co-champions in Louisville, which has a matching conference record. As a team, the Panthers have led their opponents both offensively and defensively all season, finishing regular play with 1578 kills, 1473 assists and 158 aces. Individually, Nika Markovic and Stephanie Williams led the scoring, with 393 and 353 kills, respectively.